Of the 100 pedestrian fatalities in San Francisco in the past six years, two-thirds of them were due to either right-of-way violations by motorists or pedestrian violations, an issue that has prompted police to initiate a yearlong education and enforcement program. Problems such as drivers failing to yield to pedestrians in crosswalks and pedestrians jaywalking or crossing the street on a red light were the main factor in 67 of the casualties, according to police statistics released Friday. Factors in other crashes included speeding, running a red light and drunken driving. In the next month, the department will begin a Comprehensive Pedestrian Safety Program, to include pedestrian safety presentations to senior groups and other educational programs, police said. 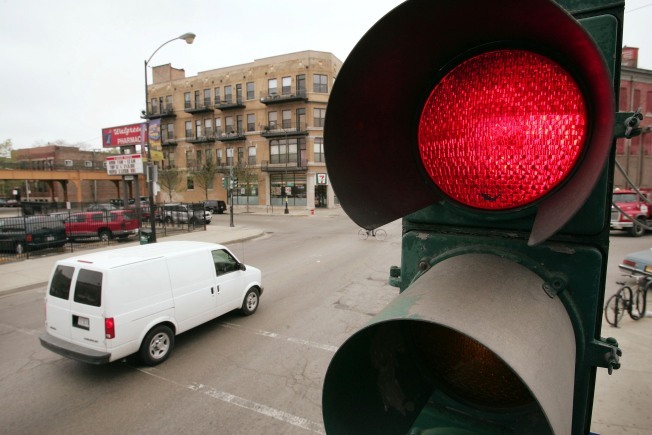 The programs will accompany the department's focused enforcement operations targeting right-of-way violations, speeding, red-light violations and right-turn violations at intersections. Police spokeswoman Sgt. Lyn Tomioka said police have already begun the programs in the Ingleside District, and will soon expand them citywide. Of the 13 pedestrian fatalities in San Francisco this year, four were due mainly to driver violations of pedestrian right of way, and four were due to pedestrian violations, according to police. The city had a spike of 24 pedestrian fatalities in 2007, with seven caused by driver violations of pedestrian right of way, and seven by pedestrian violations, police said.